This guided walking holiday takes in the heart of the Mediterranean where Puglia and Basilicata, two unique regions sandwiched between the Adriatic and Tyrrhenian seas, meet. 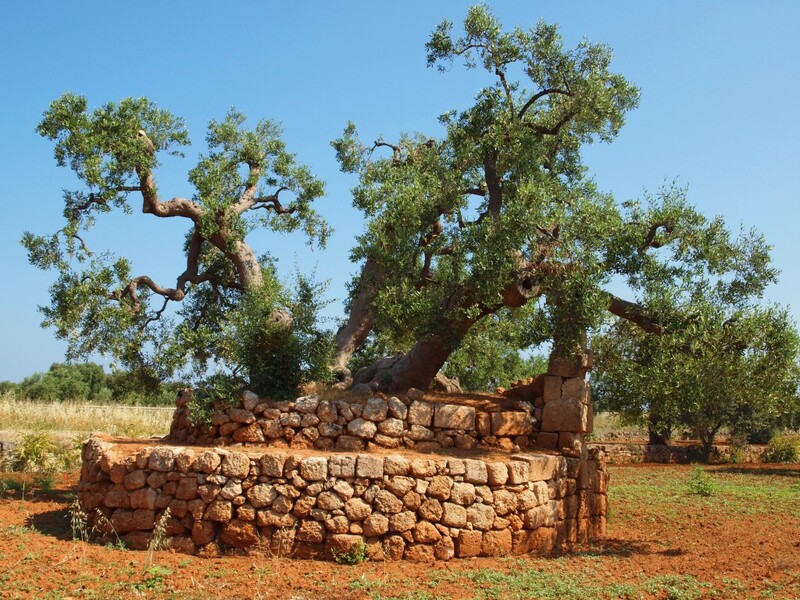 A remote area dotted by thousands of ancient olive trees, rolling hills, sparkling seas and remote villages, it's a fascinating region with a turbulent history and intriguing architecture including its famous Trulli and Sassi houses. Our itinerary explores the very best walks and towns in these captivating and still relatively unknown regions. We start the week in the UNESCO-listed Matera, a fascinating town famous for its Sassi houses carved out of the rock and inhabited since Prehistoric times. 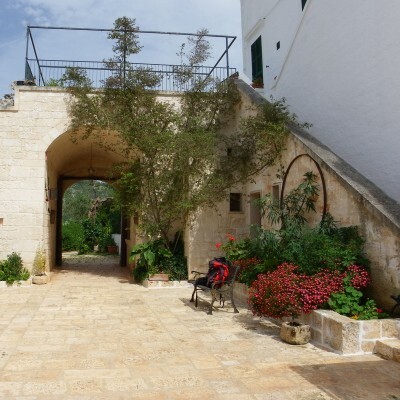 We then move on to the stunning 'white city' of Ostuni, perched high on a hill overlooking the Adriatic and make our way towards the idyllic coastline. 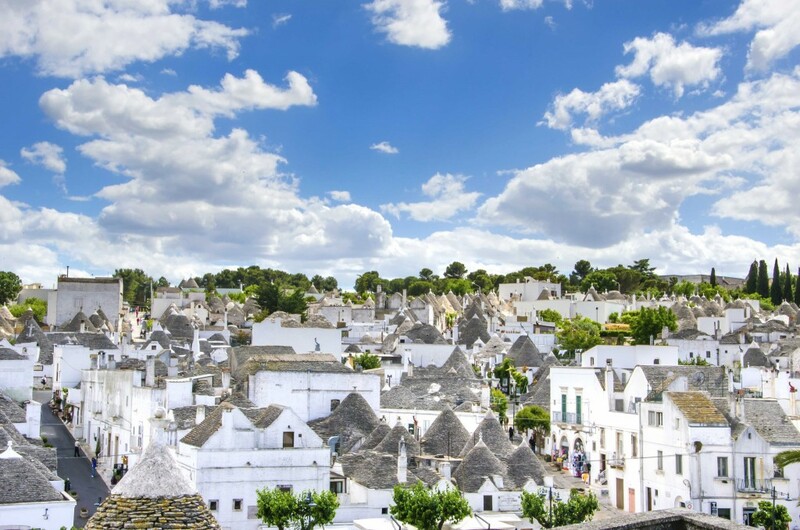 We spend the remainder of our week in the heart of the lush Itria Valley in UNESCO-listed Alberobello, home to 1500 trulli (conical-roofed houses), still standing after 500 years. Aside from the perfect mix of cultural discovery and gentle walking, we'll have the chance to sample the excellent local cuisine and wines. 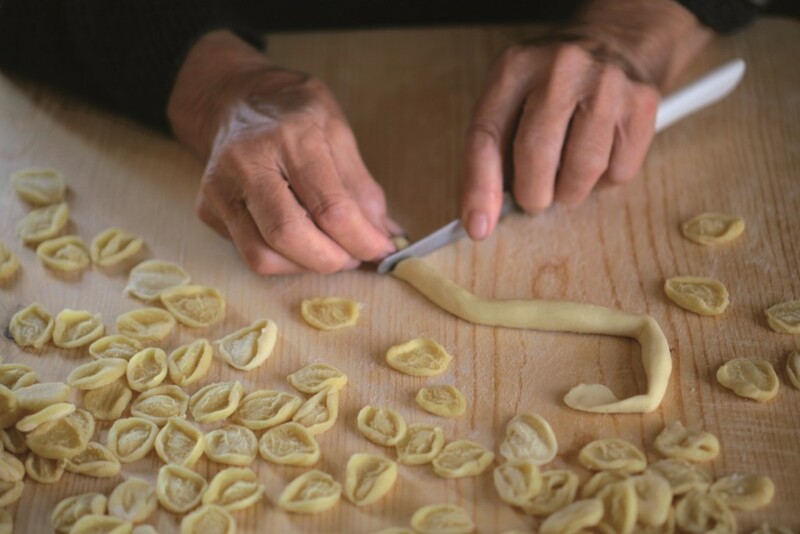 On your free day you have the option to try your hand at pasta making, head to Bari, the capital of Apulia, or visit the beautiful Baroque city of Lecce, known as the 'Florence of the South'. During the week we stay in three comfortable hotels, carefully hand-picked for their charming character and great locations. We'll sleep in a stylishly converted cave-like hotel dating back to the Palaeolithic Age, a typical masseria surrounded by olive groves overlooking the sea and, in Alberobello, the Hotel Ramapendula or Cuor di Puglia (subject to departure date), both of which are close to the town centre and offer an outdoor pool. The terrain and type of path will vary from manmade paved tracks and tarmac to gravel, sections of days 2 and 3 cover some rough terrain so walking poles are recommended. Some ascents and descents should be expected. Please be aware that Puglia can also be very warm, possibly reaching 30C in the summer. Arrive at your hotel in Matera. Today we explore Matera's Rock Churches Park, a vast protected area home to over 150 rupestrian churches dating back to the C8, once inhabited by hermits and adorned with coloured Byzantine frescoes. 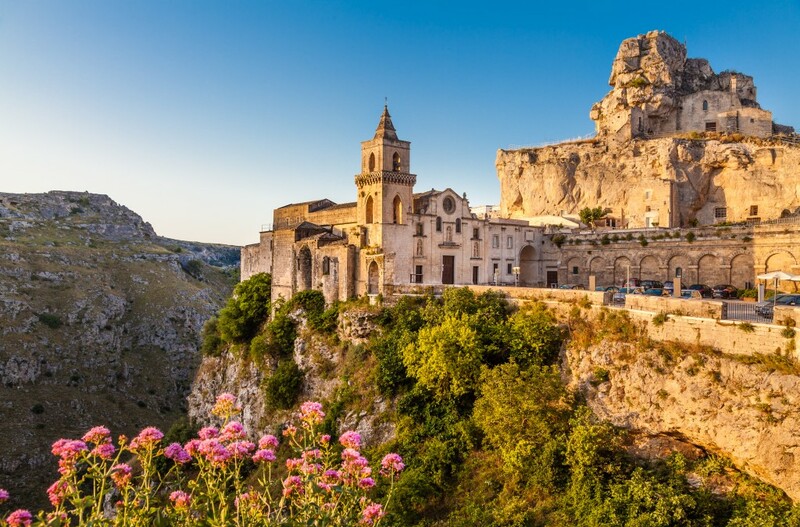 We then enjoy a guided visit of Matera and walk through the town's famous UNESCO cave-dwelling district and learn the history of this fascinating place. The rest of the day is free to explore at your own pace. We transfer by train and bus to the outskirts of Matera where the walk starts. The trail will take us through dramatic rugged landscape made of limestone, gravel paths, fields and almond and olive groves, in an area which was once home to prehistoric men and cave dwellings. The area is particularity picturesque in spring, when many species of butterfly, orchid and cyclamen are found. We start the day with a private transfer to the 'white city' of Ostuni, famous for the dazzling effect of its whitewashed houses. Take time to discover this elegant hilltop town before we explore the verdant surrounding countryside, walking through ancient olive groves and vineyards overlooking the Adriatic Coast. Along the route we stop to visit the archaeological park of Santa Maria d'Agnano. It's then on to our beautiful masseria, a renovated farmhouse typical of the Puglia region, for dinner (included). Today is free to discover the many jewels of this beautiful region. We recommend to take a day trip to the beautiful Baroque city of Lecce, known as the 'Florence of the South', and home to over 40 churches, countless palaces, as well as a Roman amphitheatre and theatre. Alternatively, you could travel to the the picturesque town of Polignano a Mare, a shining gem on the coast of the Valle d'Itria, perched atop a 20m high limestone cliff above the crystal clear waters of the Adriatic. Both of these destination are reachable by train from Ostuni. 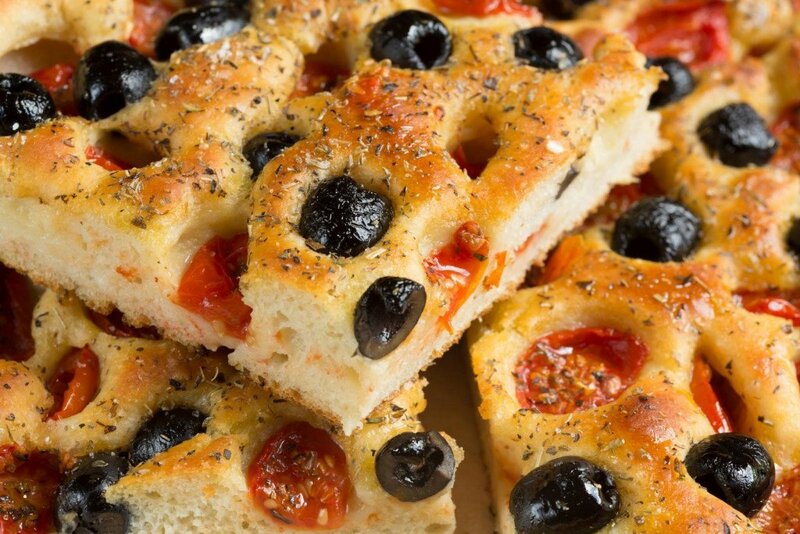 In the evening we will regroup to enjoy a delicious dinner in Ostuni or at the masseria. This morning we walk from the masseria to the coast, where we have time to relax on a beach or swim in the mild waters of the Adriatic sea (depending on the season). 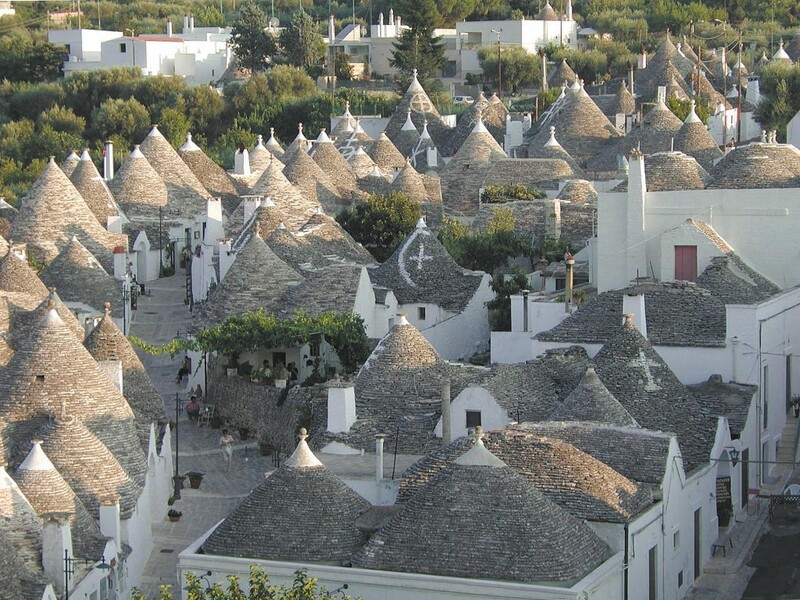 In the afternoon we make our way to Alberobello, home to 1500 Trulli (conical roofed houses) that have made its historical centre a UNESCO World Heritage Site. The origin of these funny-looking stone dwellings is obscure. However, local farmers claim they were originally built in an effort to evade taxes. When the tax inspectors were in the area, the dry stone walls could easily be dismantled by simply removing the key stone above the door and quickly rebuilt after the inspection. In the evening we enjoy a delicious wine and produce tasting. Our destination today is Locorotondo. Sitting on the top of a hill, it's considered one of the most beautiful villages in Italy and is renowned for its white wine and Cantina Sociale, the local winery. Following narrow country lanes, we walk over the rolling hills of the idyllic Itria Valley, dotted with olive trees, vineyards and trulli before taking a short train ride back to Alberobello. 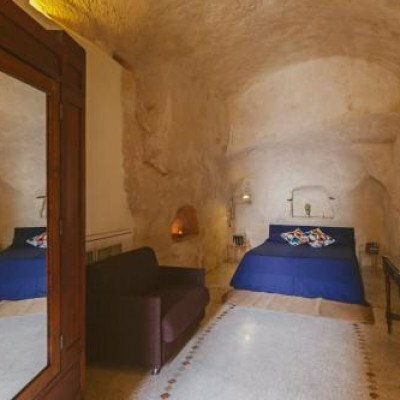 Situated in Matera's historic centre with fantastic views of the Sassi, the Hotel Sassi is a unique hotel in a unique location! With some of the 33 quirky rooms being set within the old caves of this C18 edifice, all offer ensuite facilities and most have private balconies. Breakfast is taken on the terrace or in the cave dining room. There is a great selection of restaurants within walking distance of the hotel. The agriturismo Masseria Morrone is situated a few miles outside Ostuni, surrounded by olive groves and stunning countryside, a working farm in the 18th century, now owned by the Leara family, offers accommodation in 10 air conditioned ensuite bedrooms all of which have been beautifully renovated. Breakfast is a feast of homemade breads and jams, and there is a lovely sun terrace with beautiful views out to the sea in the distance. 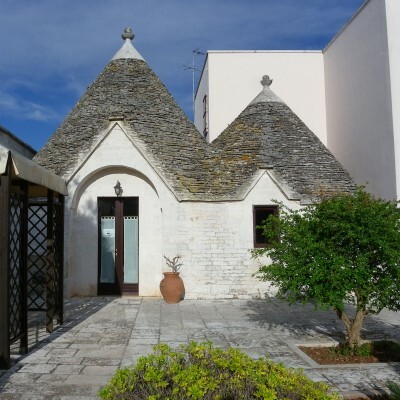 The Hotel Ramapendula is within walking distance of the fascinating Trulli district, declared a World Heritage site by UNESCO. The rooms are bright and airy, with small balconies, all are ensuite. The hotel offers an outdoor swimming pool, and the charming restaurant offers local specialities along with European cuisine. The Hotel Cuor di Puglia is within walking distance of the fascinating Trulli district, declared a World Heritage site by UNESCO. The rooms are comfortable and all are ensuite. The hotel has an outdoor swimming pool, and the restaurant offers local specialities. Transfers included from Bari airport at 12:15 (10:20 Aug 31 departure), and back to Bari airport at 09:30 (07:30 Aug 31 departure). An excellent opportunity to see the real Italy and stay in unusual places. Nothing was too much trouble for our guide who went out of her way to make everyone feel included and ensure all were able to enjoy the experience. We ate some fantastic food with our guide who sought out authentic eating places that served local dishes, many made from products grown on their own farms and all at fair prices. The holiday was made special by our excellent guide, Giuseppe, who was very knowledgeable, interesting, amusing, and well organised. Giuseppe our guide made this one of the most memorable holiday's we have experienced. The highlights being our three days exploring the Rock Churches of Matera and its Sassi District. Our stay in the beautiful masseria, Swimming in the Adriatic Sea, the Trulli houses at Alberobello, and not forgetting the wonderful regional food we sampled along the way. An excellent trip to a less commercial part of Italy. Fascinating destinations, a mix of culture and history and a great group of people with a brilliant guide. Local guide very good ..his provision of picnic lunches was really good. 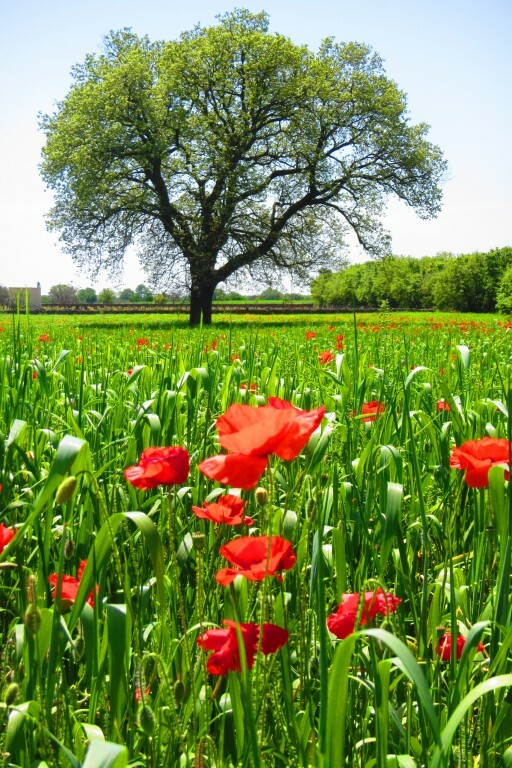 A most enjoyable holiday with varied, mostly flat walking in the spring countryside, covered with beautiful flowers. Although this was an Exodus holiday and we expected the hotels to be of a lower standard than the usual Headwater type, we were pleasantly surprised. Our guide, Marinella, loves her job and it shows! Matera and Alberobello were fascinating, we ate in some delightful restaurants at Marinella's recommendation, the food was delicious and the wine tasting, dinner in a farmhouse and picnics all added to the enjoyment. We had a great group too! An amazing holiday. We've visited Italy many times but Puglia was quite different to what we'd seen before. The colours, olive grove, vineyards, hilltop towns, architecture and the rest make this area a hidden gem. A week of discovery! Beautiful towns and landscapes, interesting walking , a great local guide who was tireless in helping us to understand so many different aspects of Puglia - it's history, food, contemporary issues - as well as making it fun. A great group too all added up to a brilliant holiday, thank you. A splendid holiday well organised with a great group of people, lots of laughter,good weather,good walking,good food & drink. 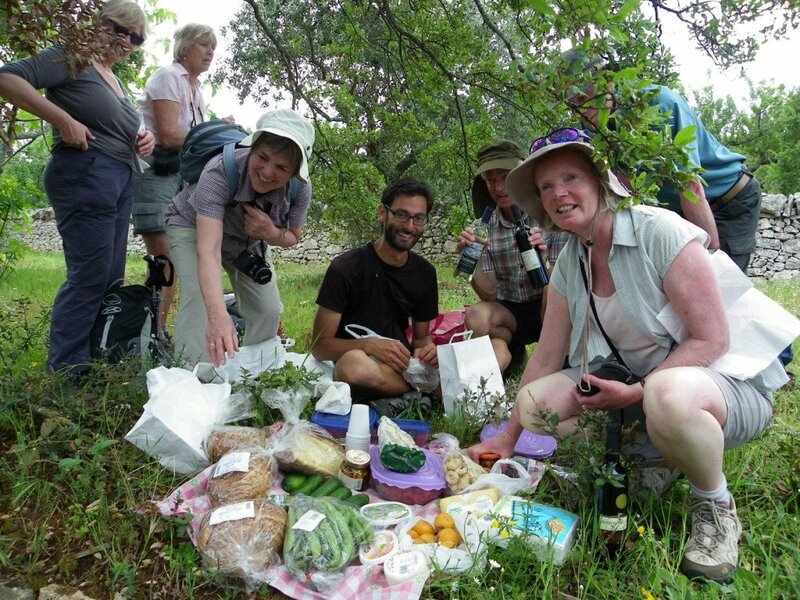 The guided Puglia walking holiday was fabulous. We had heard about Matera before out travels and we had time to explore the town and surroundings.It was an amazing place.Luigina, our leader on this holiday, was very knowledgeable and helpful. The 3 centres and scenery on the walk were quite varied. The free day was a good idea as it gave us the opportunity to visit Lecce.The holiday was a fascinating mix of history, geoography, culture and of course, food! A good holiday with excellent walks, but bear in mind this is run by Exodus, so hotels not up to the usual Headwater standard. A wonderful guide lead us through a fascinating part of Italy and along the way we enjoyed superb local cuisine and wines. An excellent holiday with a like minded group of people. Our guide Nino went out of his way to ensure everyone got what they wanted out of the holiday. He changed arrangements to suit the weather and ensured that everyone was happy with what was happening each day. Pleasant walking( despite slightly inclement weather at times) through lovely countryside and interesting historic sites. Unfortunately it was too cold for our swim in the Adriatic . 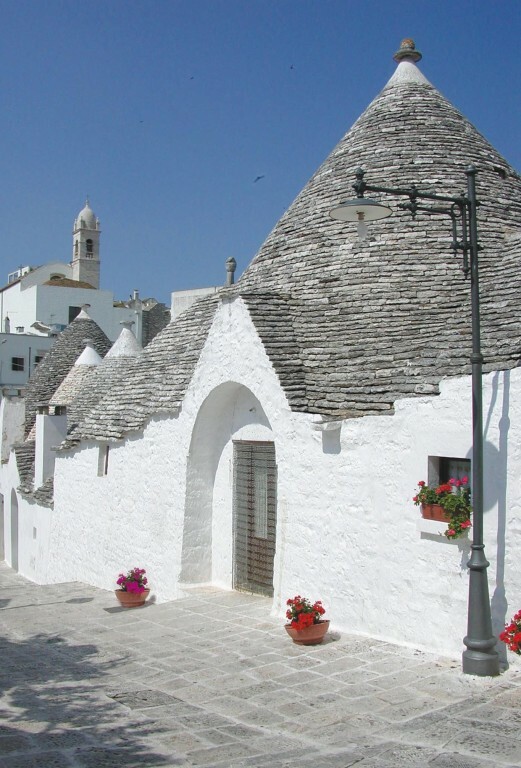 Alberobello is a very pretty town with its large concentration of Trulli. Matera is a fascinating city with its ancient settlements and interesting history. A brilliant holiday, our guide Antonino was excellent, he looked after us very well and went out of his way to make sure we were always well looked after and very well fed. Transfers during the walk went like clockwork. An incredibly interesting part of Italy; as it was cold and wet we all agreed to visit local caves instead of the beach and they were magnificent. One boot was the right classification, there was some 'scrambling' over rocks and through vegetation, the rest mainly rocky/stony tracks with minor ascents and descents. This is an excellent and very relaxing holiday. The walks were well planned and very well led - picnics were wonderful! Unsurprisingly, in early July, it was hot but setting off early made the most of the cooler hours and enabled us to explore the towns and villages at leisure. Our guide, Salvitore, was really excellent - attentive, charming, efficient and knowledgeable. Our guide, Angelo, really lived up to his name. He went more than the extra mile for us: organising picnic feasts which were inexpensive, and negotiating terrific and generous group meals at bargain prices with a huge range of antipasti. He is a wonderful standard setter for other guides. I particularly liked our stay in Matera which is fascinating. A swim in the Adriatic en route was a treat too and I found the archaeological site near Ostuni very interesting. Overall the walking on this holiday was just the right level for my expectations, as advertised, and the weather was good for walking, despite the forecasts. I did enjoy the holiday as that particular area of Italy is very interesting also our guide Adrianne did his utmost to make it so. I felt it should be described more as a sightseeing holiday as the walking was not very challenging or exciting. I was disappointed that a lot of the walking was on minor roads rather than paths. Very good holiday, lots to see and well guided. Good value for money and very companiable group of people on walks. Headwater were very poor on administration I had to request both confirmation invoices and twice request travel documents which had to be courried to us 9 days before we left which was poor considering we had to book our seats with Easyjet. The hotels were not as comfortable as they should have been as we were cold in them. 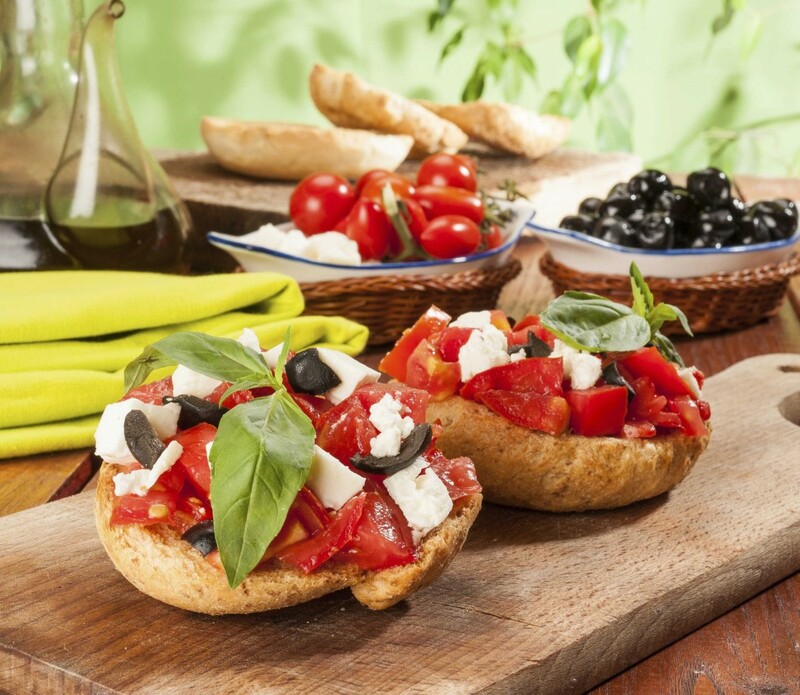 Puglia and Basilicata a truly inspiring choice. We were inspired by Andrew Graham-Dixon and Giorgio Locatelli in 'Italy Unpacked' and this holiday fully met our expectations...........though the food not always quite so great- needed more green vegetables! Our Guide was delightful and charming. We learned that living in a cave has draw backs - high humidity - but still worth staying in the Sassi ! We also loved walking around hill top towns.......delightful! Selected Saturdays from 27th Apr 2019 to 9th Nov 2019, for 7 nights. All dates are subject to availability, please contact us to check. Due to the tailor-made nature of our holidays, we need a little more information in order for us to check availability for Walks in Puglia and Matera. Simply complete the form below and a member of our sales team will contact you (when it's most convenient for you) to provide availability information, travel options and an accurate price. Of course there's no obligation, but if you do wish to proceed with a booking they will be on-hand to assist you throughout the process.